Dine In or Take Out. VALID EVERYDAY. Valid for Dinner Menu Only. With Valpak® coupon only. Not valid with any other offer. Not valid for special menu. Not valid with any other offer. With Valpak® coupon only. Coupon void if altered. Expires 05/05/2019. Dine In Only. VALID EVERYDAY. With Valpak® coupon only. Not valid with any other offer. Valid for Dinner Menu only. Not valid for special menu. Not valid with any other offer. With Valpak® coupon only. Coupon void if altered. Expires 05/05/2019. 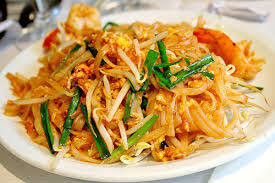 We are an authentic Thai Restaurant located in El Dorado Hills, CA. We have many years experience preparing a wide range of Thai Cuisine ranging from Seafood, Chicken and Beef to Vegetarian. Please come in and enjoy our delicious food in our comfortable and relaxing atmosphere. Our caring staff and talented chefs look forward to serving you! EXPERIENCE THAI CUISINE AT ITS FINEST, CHANTARA THAI CUISINE IN EL DORADO HILLS, CA. PRINT A COUPON TODAY FOR $5 Off $25 or $10 Off $50 . Chantara Thai Cuisine in El Dorado Hills, Ca, Dine In or Take Out, Full Bar. Open 7 Days, Saturday & Sunday all day.Serving El Dorado hills,ca, Folsom,Ca, Cameron park, Shingles Springs,ca. Experience Thai Cuisine at its finest at Chantara Thai Cuisine in El Dorado Hills, CA.